A new show started this weekend on HBO that I've been looking forward to from the brilliant mind of Alan Ball. 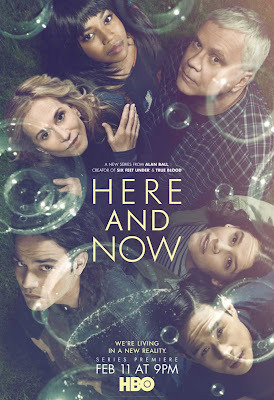 Here and Now is about a family and so far, I'm all in. The parents are played by Holly Hunter and Tim Robbins and three of their four kids are adopted. The youngest (played by the daughter of Kevin Bacon and Kyra Sedgwick) is their biological child. The characters are incredibly interesting and relatable. I'm fascinated and can't wait to see what happens. If you get a chance, check it out!